W.A. 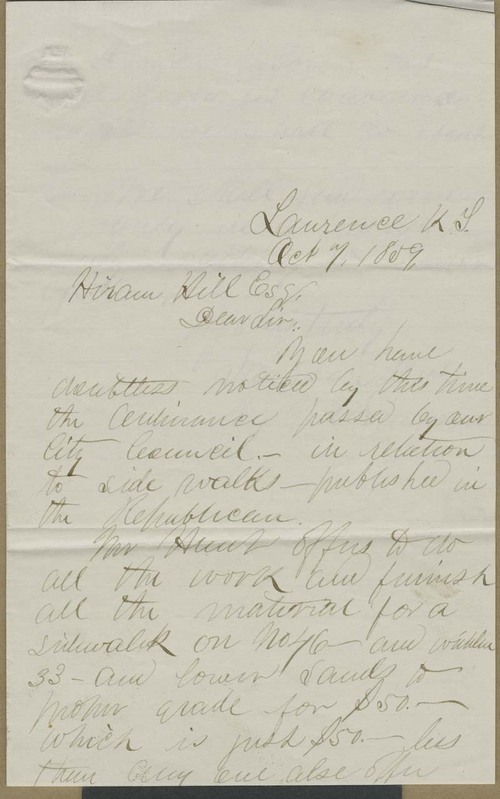 Simpson wrote for the Simpson Brothers from Lawrence, Kansas Territory, to Hiram Hill in Massachusetts. Simpson reported that the Lawrence City Council had passed a sidewalk ordinance, and had received a reasonable estimate for the work and materials to place them on Hill's properties.